The Santa Clara Police Department is seeking highly motivated individuals for entry-level Recruit Police Officer and Police Officer (lateral). We value honesty, consistency, loyalty, integrity, fairness, respect, accountability, and trust. If these characteristics make up the core of your value system, we want you to work with us. Santa Clara is one of the fastest-growing cities in Silicon Valley, home to Levi's® Stadium and world-class events. The Santa Clara Police Department offers numerous advantages over other local communities. Prior to appointment, all candidates will be required to pass a City background investigation, which will include fingerprinting, a polygraph and a psychological test. A medical examination is also required following a conditional job offer. Click here to view information regarding future application deadlines. The Santa Clara Police Department is actively seeking new members to join our law enforcement family and we encourage you to view our recruitment video! 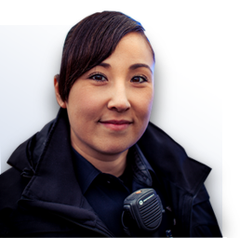 (https://vimeo.com/160953618) If you meet the minimum qualifications and are interested in a career in law enforcement, apply today.